Site search is arguably the most important area when it comes to user experience. B2B items, especially, are often complex; buyers don’t have time to hunt for products. In this post, I’ll offer a few practical action steps for improving site search on your ecommerce site — B2B and B2C. There are three options for buyers to find products on an ecommerce site. Keyword search occurs when a buyer uses the search bar to find products. Keywords can be anything, from terms relating to products or categories to specific part numbers — UPC, MPN, EAN, internal, competitive, and industry-specific. Category browsing occurs when users select a category and drill down to find the items they are looking for in sub-categories. Faceted search is when users refine their search by narrowing the results via filters, such as size, color, length, and brand. Multiple factors impact whether buyers can easily find products via site search. Focus on these six items to make it easier. Abbreviations and industry terms. Every industry has its own terminology. I work in the industrial industry. We see many searches that contain slang, which can lead to a zero results page. Misspellings. Users will misspell words as they search. It’s up to merchants to decide how tolerant site search should be with misspellings. “Edit distance” determines how many letters in a word can be replaced by other letters to determine search matches. An edit distance of 2 could show “book” in the results for the search term of “back.” That scenario would increase the number of results, and decrease the relevancy. Predictive search. This feature will help users save time by suggesting products and categories in real time based on the keywords they are searching for. Type-ahead. This will show autocomplete suggestions to keyword phrases being entered into a search box. It reduces the typing required of users and, also, helps them understand what other users are searching for. Product taxonomy. 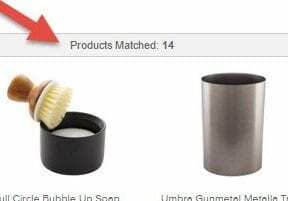 This is the system to classify and organize products on an ecommerce site. It becomes more complex as the number of items increases. Browse through a category search or look at breadcrumbs on a product page to see a product taxonomy at work. Access the current state of your site search. Get the data you need to identify areas for site-search improvement. 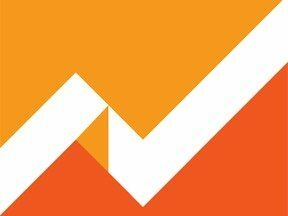 Site-search reports in Google Analytics can help. They are easy to set up and will provide helpful info, such as the number of searches, search terms, and the effectiveness of results. For example, multiple search refinements could indicate that users aren’t easily finding what they are looking for, but are willing to stay engaged. Conversely, a high number of search exits might be more serious: Users could be searching for something, not finding it, and leaving your site. Understand the technology. Learn the basics of site search — its terminology and how it works. Learn the different types of searches and common challenges. Having a basic understanding helps to communicate with developers and other technical personnel. In addition, learn the details of how your ecommerce platform handles site search. Platforms will typically offer some control over site search, either directly or through third-party software. In my experience, small changes to search can have a large impact on conversions — good and bad. Make incremental changes and then test. Continuous improvement. Once you know the state of your site search and the technology, assemble a plan to improve. Create short and long-term goals. Ensure that you have good data and the right technology. Make sure your best-selling items — the top 20 percent — are easy to find. For the long-term, focus on scalability.